Price listed is for six acrylic beads. 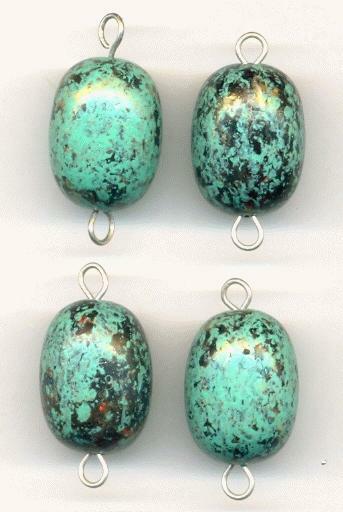 These are approximately 28mm by 15mm black/teal bead connectors. They have silver colored loops at each end. This measurement includes the loops.